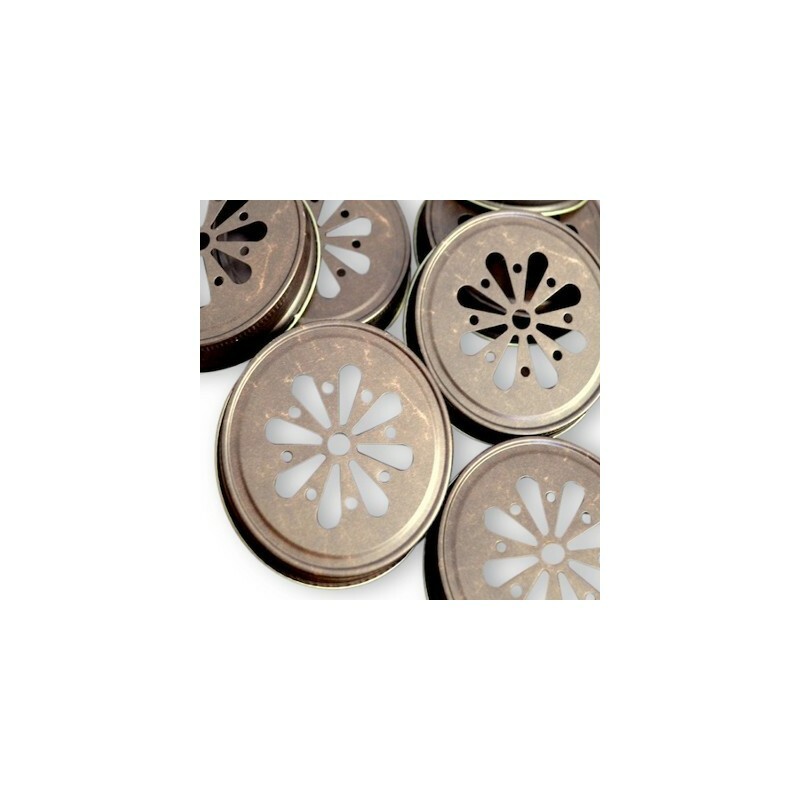 A genuine Ball mason daisy cut lid for decorative use on regular mouth mason jars. The daisy cut design adds a pretty touch to table decorations, drinking glasses, tealight candle votives and more. Price is for one single daisy cut lid. Image is a guide only, antique gold is slightly darker with more gold tone than the bronze pictured. 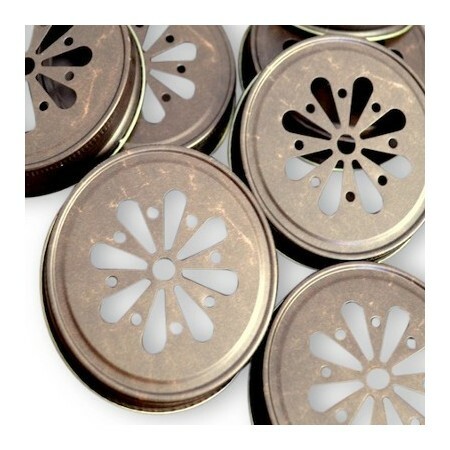 A genuine Ball mason daisy cut lid for decorative use on regular mouth mason jars. The daisy cut design adds a pretty touch to table decorations, drinking glasses, tealight candle votives and more. Image is a guide only, antique gold is slightly darker with more gold tone than the bronze pictured. Please note that the daisy cut lid is not leak proof, and is not compatible with any wide mouth jars, or standard twist top jars. 65mm wide to fit regular mouth mason jars. Price is for a single daisy cut lid, glass jars are not included.